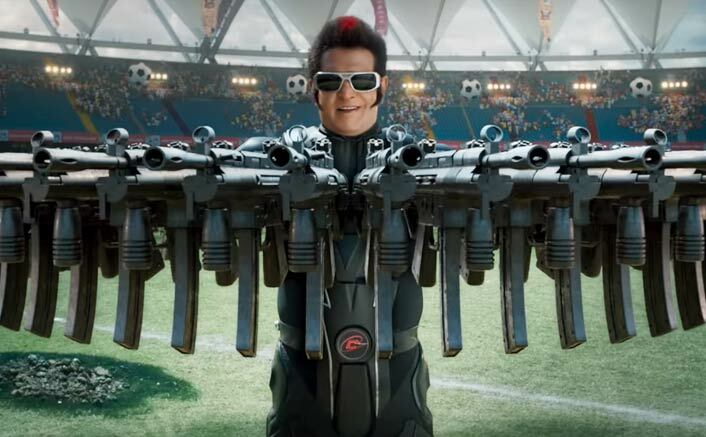 2.0 Box Office Day 3 Advance Booking Report: Rajinikanth-Akshay Kumar starrer 2.0, is now going from strength to strength in advance bookings. Even though the bookings were kick-started just two days before the release, the movie managed to open with very good occupancy across the country. It seems like 2.0, which caters both masses and classes, is accepted whole-heartedly by the movie maniacs. Also, the positive word-of-mouth is playing a crucial part here, which have been translated in the advance bookings for Saturday, thus showing a tremendous growth from Thursday and Friday. Yes, it did started slowly but has picked up the pace today. More than 50% of the shows are on a fast-filling mode and prime time shows already houseful across all the major multiplexes. It’s the good news for the team 2.0, as the under performing regions are attracting hordes to the theatres. Better than Mumbai, with more than 60% shows on the verge of houseful. Huge growth from yesterday! Surprisingly, Pune is performing better than expected. Huge growth from yesterday and is performing on the same lines of Mumbai’s opening day reports. As expected, the tickets are selling like the hot cakes in the city, with about 95% shows houseful across the major movie theatres. Believe us, till this report gets published, those remaining 5% shows will see a houseful board on it. Less said is better here as 2.0 is enjoying a magical spell in the city. Houseful boards all over. The post 2.0 Box Office Day 3 Advance Booking Report: Heading For A BLOCKBUSTER Saturday! appeared first on Koimoi.